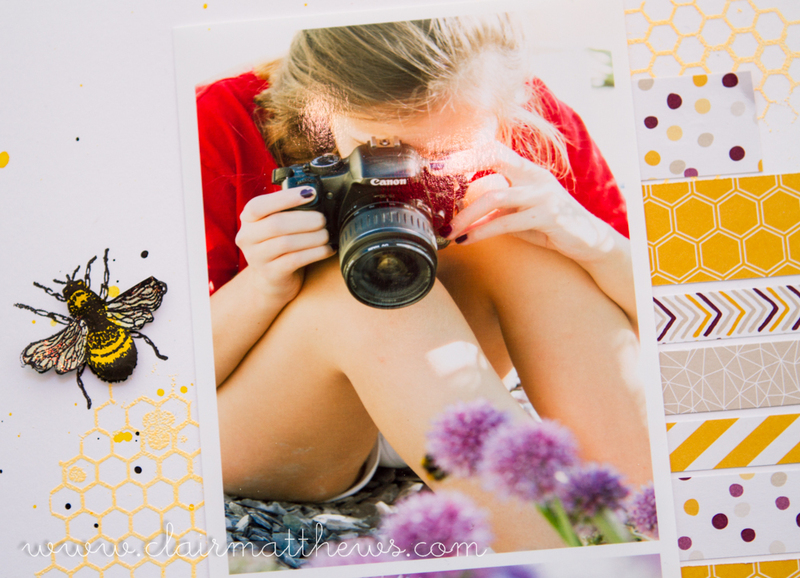 I'm so excited to share with you this layout I made of Sofie recently..
She was busy photographing some bees that were buzzing around our flowers & I quickly snapped the photo's without her knowing.. I kept the layout quite simple, just used some pretty patterned papers.. ..I used a bee stamp from inkylicious which I've had for ages..I stamps the bees, raised them on foam pads & added shimmer to their wings.